That may seem a little strange, in today's climate; yet its True. 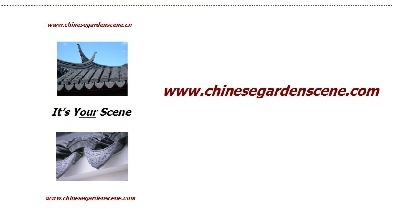 Have you prolonged your visitors - China and / or Chinese Garden & penjing experience......? Why not " BookMark," YOUR Garden's Website ? however there are organisations who certainly can enhance and prolong, the wonderful experience of your visitors - with a little BookMark, even. Why not organise one for each visitor entering through YOUR GARDEN WALLS.